Seeing lives radically transformed with the desire to serve God is the heartbeat behind WE ARE MESSENGERS. The band, originally from Ireland and now based in the United States, is led by Darren Mulligan, whose passionate vocals and poignant songwriting garnered the group’s first GMA Dove Award nomination for 2017 New Artist of the Year. Radio stations across the country whole-heartedly embraced the band and its message, as the album’s lead single, “Everything Comes Alive,” became a Top 5 hit and one of Word Entertainment’s fastest-growing radio singles. The band’s follow-up single, “Magnify,” eclipsed the reach of the first single and also reached Top 5 at radio, followed by the equally successful single “Point To You.” In addition, Mulligan’s compelling songwriting can be heard on Crowder’s “My Victory,” as well as selections placed in film and television such as “I Want You,” which was chosen as the theme song for TV show “Coupled,” and the song “I’ll Think About You” featured in the most deeply moving moment of the feature film The Shack. 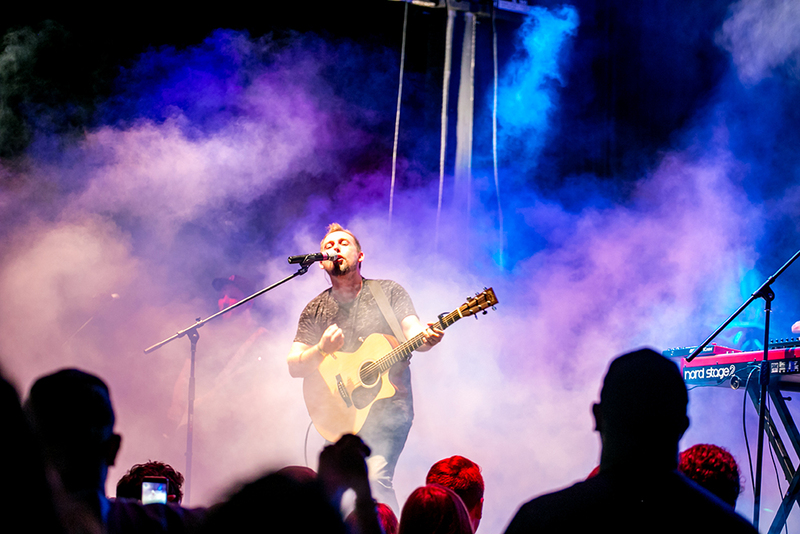 Since their debut release in 2016, We Are Messengers has played to more than 600,000 people as a part of the Winter Jam Tour Spectacular, the largest annual tour in Christian music, on major tours with Big Daddy Weave and the K-LOVE Christmas Tour alongside Steven Curtis Chapman, and their own headlining tours. Mulligan’s sensitive heart for the lost and hurting shines through in his songs as he himself was once lost and hurting. Raised on a steady diet of American music—everything from Elvis and Johnny Cash to Guns N’ Roses and Nirvana—Mulligan’s youth found him chasing wealth and fleeting fame through a music career that took him to America for the first time as a guitarist for a mainstream rock band. His life was spiraling out of control when he received a call from his former girlfriend Heidi telling him she had become a Christian. Shortly thereafter, he decided to leave the band, move back to Ireland and asked her to marry him. Unbeknownst to Mulligan, she began praying daily for her future husband’s salvation. Three weeks before their wedding, at a time when he was an avowed atheist, Mulligan had a life-altering experience in church and surrendered his life to Christ.